Are you are experiencing pain or general discomfort while playing? This is not uncommon. A recent study has shown that 84% of orchestral musicians had experienced pain or injuries* that had interfered either with playing their instrument or participating in normal orchestral rehearsals and performances. Fifty percent reported having such pain or injury at the time of the survey, mostly with disorders perceived by the musicians to be work-related. 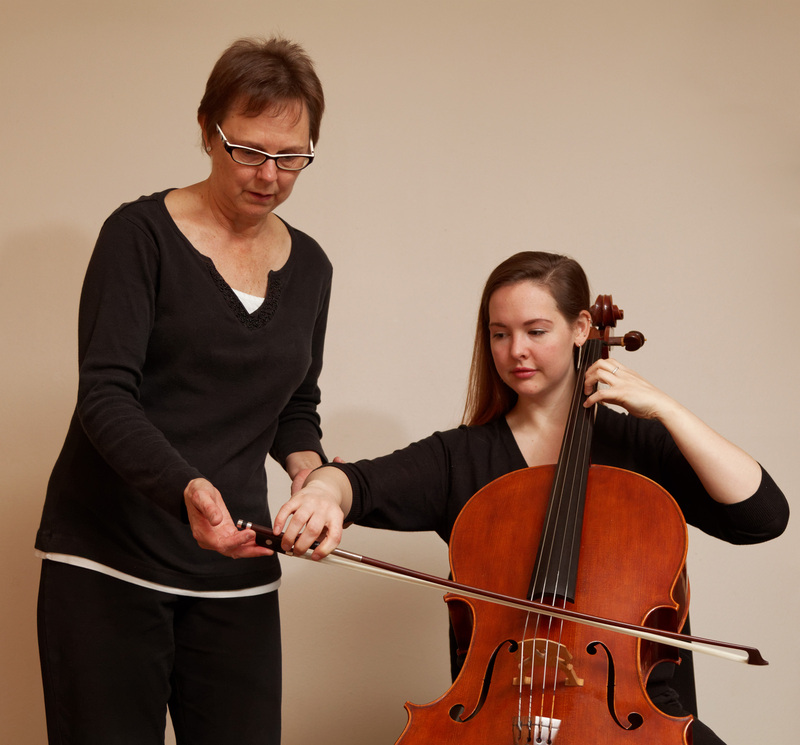 Celloessentials.com is a culmination of thirty years of experience successfully leading cello players of all technical levels on the path toward pain-free cello performance. The goal is for each cellist to understand what constitutes a physically healthy approach to the ultimately athletic activity of cello playing. Balance is a necessary component to arriving at maximum energy efficiency with minimal effort, a sensation we interpret as relaxation. In order for our bodies to remain balanced in resistance to gravity, several points must be considered: 1) weight must be equally distributed over the point (or points) of balance; 2) the musculature used to maintain a certain position must be the equivalent of the external force (i.e. gravity, leverage); and 3) maintaining balance requires movement, adjustment and flexibility. At celloessentials.com, you will discover the the necessary foundation of balance for a healthy physical approach to cello playing. This site provides photos and video demonstrations to help illustrate the ideas and concepts. Pain and discomfort while practicing and/or performing are usually a culmination of many years of inefficient habits. Learning to play without pain is not an easy fix. Change requires willingness, patience, determination and maturity. Change is not a passive activity and in some cases does not provide instant relief. Change is a process and it takes time. Learning new ways of thinking and feeling require engagement and ownership of each step in the process. Celloessentials.com is intended to “lead” you to a new understanding of your body and how it works in relationship to the cello. The goal is for you to own your learning process and learn how to play with comfort and ease. Let’s take this journey together! This is great – exactly what I’ve been looking for.